Japanese streetwear brand Bape and adidas will be teaming up for another collaboration this year. New information surfaced online recently detailing a collection of adidas Snowboarding gear with a signature Bape twist, releasing just in time for winter. When Bape and adidas collaborate, sneakerheads pay attention. The next project from the powerhouse team is slightly unexpected, but a welcome addition to the 2018 release calendar. Later this year, legendary streetwear label Bape will put their signature touch on a collection of adidas Snowboarding gear. Though little information is currently available, we know that the release will include several pieces of snowboarding apparel and a pair of the adidas Originals 3St-002. The sleek silhouette features a sock-like fit and a single piece suede upper that will come decked out in Bape’s signature camouflage pattern. 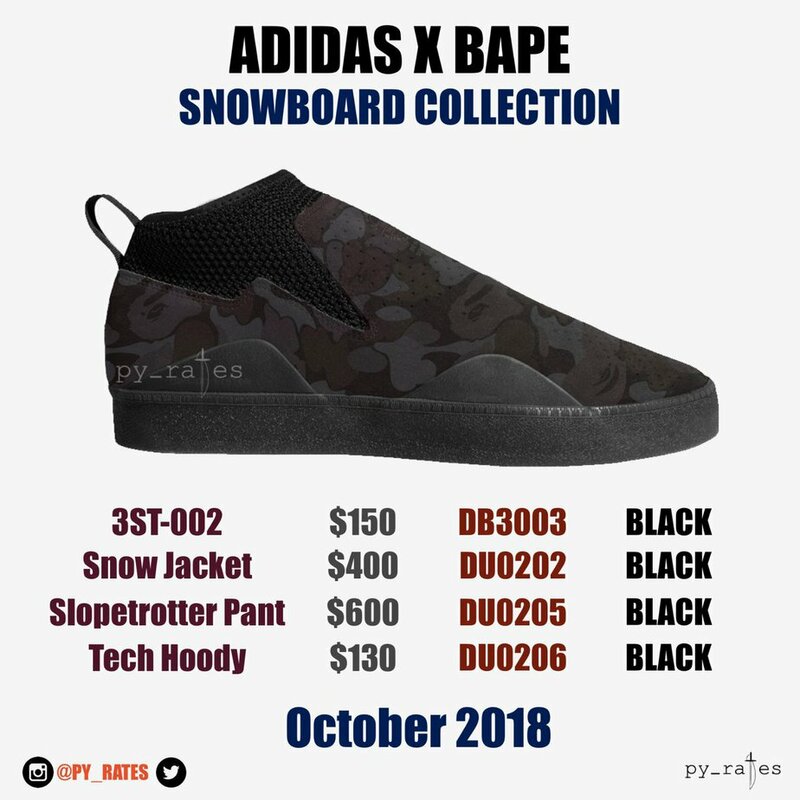 Our friends Py_Rates, who shared the information, provided a mock-up of the Bape 3ST-002 shoe along with a price list for the apparel. Those looking to get their hands on the whole collection should start saving now because it will be pricey. The new snowboarding collaboration between Bape and adidas is set to release in October 2018. 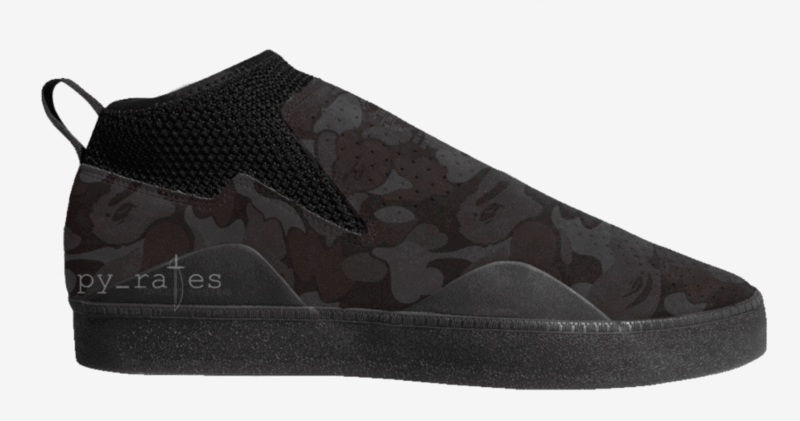 Currently, only a mock-up of the Bape camo adidas 3ST-002 is available, though the price list for the collection can be seen below as well. 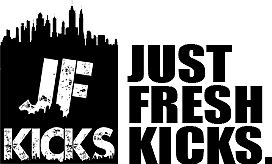 Stay tuned to JustFreshKicks for more information about the release.